We were quite surprised this Wednesday (29/08/2018), some of our members were present for the Infotech Opening Ceremony when I started getting a lot of messages. The Infotech is a huge IT event that the Mauritian state organizes every year. Every year, the Minister of Information and Communication Technologies opens up the ceremony with his speech. 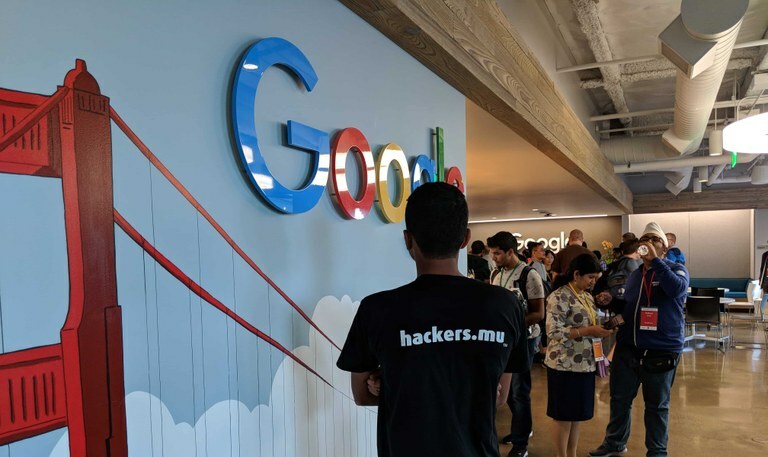 "People will have the opportunity to listen to SMAK, a young Mauritian who is a member of hackers.mu, an association of computing enthusiast. He will talk about his victory in the Google Code-in Competition and his subsequent trip to Google headquarters in the Silicon Valley. ". Smak is our rock-star member who won the Google Code-in competition last year, you can read more about this event here, plus don't forget to check SMAK's personal blog. "Open Source Software, The Linux operating system is the most well known has taken over the world. Linux now powers all Android smartphones, most network appliances, including the one that makes the internet possible. The top 500 supercomputers of the planet and the cloud services of the major companies such as Google, Facebook, Amazon and RedHat. In Mauritius, Opensource software is used in the Government Online Center and in businesses for their mission-critical computer systems. It is worth noting that Mauritius also has a national opensource policy, which is currently being implemented by the National Opensource excellence and competence center operating within the National Computer Board." With all the good things mentioned about Opensource, let's hope that we shall see some definitive progress for our country with the help of various Opensource actors. Who knows maybe we can get to help Mauritius reach even higher goals. Given the opportunity why not? after all, one of our mottoes is "For the country". With the big names mentioned as well, we hope that they will be better job opportunities for the IT sector for everyone in the industry. With this, I wish to invite you all to the hackers.mu stand at the Infotech. Most of our members (who managed to get some day offs ) will be present there. Loganaden (co-founder) will be having a talk during the infotech on the Various IETF projects that we have worked on at hackers.mu. Smak will be present to talk about his adventures at Google and Yash will be doing a small presentation/demo showcasing why encryption is important. If you wish to join us, don't forget to register yourself on our bulletin board service, here. Participate in our forums, write code, let us know who you are and what you are interested in working on! A big thanks to all the hackers.mu members for making hackers.mu, what it is.